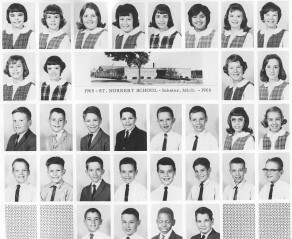 Sharon Kendra-Routsaw (St. Norberts, 1960-1969; Rosary High School 1969-1973) found these class pictures from grades 3, 4, and 5, 1963, '64 and '65. 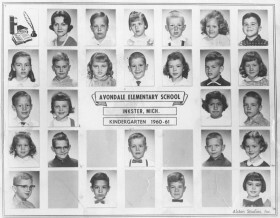 She also found her kindergarten class picture from Avondale School, 1960 - 61. The only problem is she can't recall any of the names of her classmates. So we need a little help. 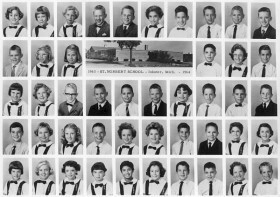 If you recognize some of these faces let us know, please, as the Unknown St. Norbert Student did on 4/12/03. Thanks! 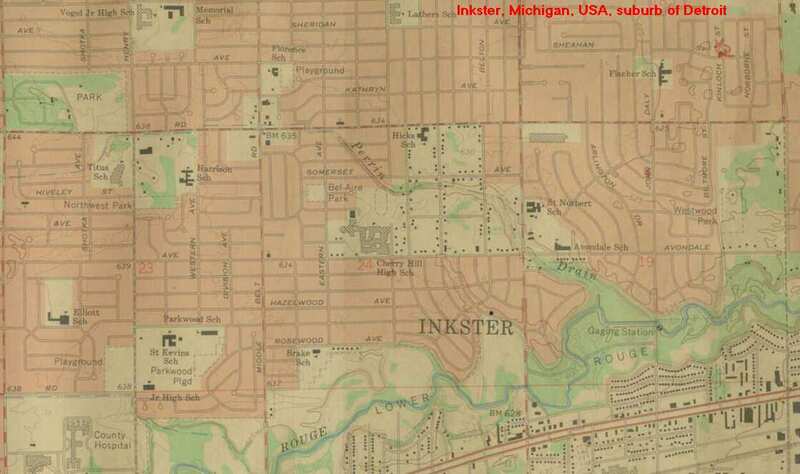 Sharon says she is "part of the Kendra family (Janis, Sharon, Jeanne, Walter and Suzanne) that lived on Arlington Dr. Chris Finney lived across the street from us. 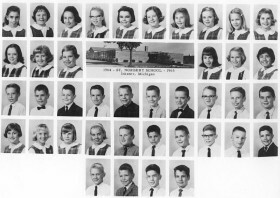 Perhaps you know my husband, Michael Routsaw, CHHS Class of 1972." If you remember Sharon or Michael jot a note in the guestbook.